‘Money’ Mayweather is living up to his name with this mega bucks fight against Conor McGregor. The Irish UFC star is making his professional boxing debut in Las Vegas. He couldn’t have faced a more difficult opponent for his first fight. This looks a total mismatch, and it could be a long night for McGregor. 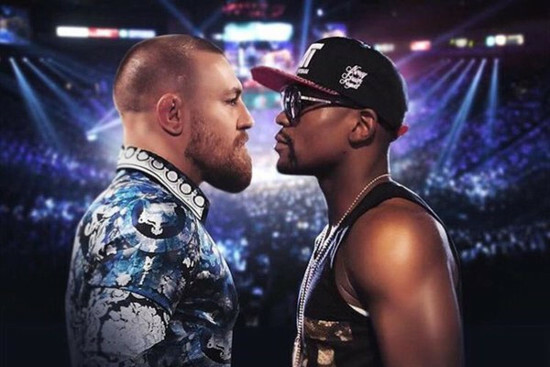 Mayweather vs McGregor promises to be a massive moneyspinner and you can see it live on Sky Box Office. If you are having a bet you should check out our exclusive betting prediction below. 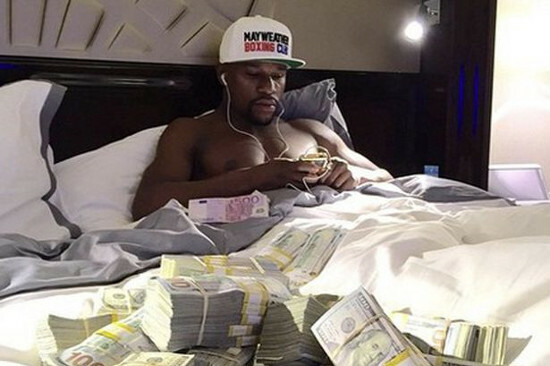 Mayweather is all about the money. Mayweather has a 49-0 record and he is one of the best technicians of all time. His defensive skills are unreal and he has schooled some of the best in the business. Alvarez, Pacquiao, Cotto and Marquez are all future hall of famers in boxing and they could barely land a glove on Mayweather when they fought him. If boxers with their ability couldn’t get past the Mayweather defence, it is hard to see how McGregor will. Mayweather has lacked knockout power in recent years, mostly because of his frail hands. However, his timing and handspeed are still superb and McGregor will need to beware of his lightning counters. Mayweather’s approach has seen him labelled as boring by many casual fans, but for boxing purists he is anything but. Boxing is as much about not getting hit as it is about hitting, and Mayweather is a master of the art of defence. The only way we can see Floyd Mayweather losing this fight is if he picks up an injury. His defence will keep McGregor at bay and he will counter him relentlessly. McGregor is undoubtedly a fine mixed martial artist. He is also one of the best strikers in the UFC, but he simply isn't a boxer. It is a totally different discipline, and as Mayweather has shown he is a master of his craft. McGregor could be in for a tough night. Irishman Conor McGregor’s rise has been meteoric in the UFC and he is a two weight World Champion. His brash attitude is one that you either love or hate, but there is no doubting his ability to sell a fight. When it comes to hype there is nobody better than the Notorious One. He has pulled off some big wins since joining the UFC, including a shock win vs Aldo. If he could somehow get his hand raised vs Mayweather it would be his greatest achievement yet. McGregor is one of the finest strikers in the UFC. His most potent weapon is his heavy left hand. He also holds a height and reach advantage over Mayweather. However, kicks are a big part of MMA and McGregor will be unable to use them in this fight. It will be McGregor’s first professional boxing match, and he has no background in the sport. We don’t think he has had enough time to learn the tricks of the trade. McGregor’s supporters will be hoping that he can somehow land that left hand and knock Mayweather out. Some of the best boxers on the planet have tried and failed to do this, so it is pretty unlikely that an MMA fighter with no previous boxing experience will succeed. The 12 x 3 minute rounds could be a big issue for McGregor too. He looked exhausted in his UFC fights that went the distance of 25 minutes. He will have to be in tip top condition if he is to take Mayweather to the final bell. Floyd Mayweather: 1/6 Betfair. Draw: 50/1 Boylesports. 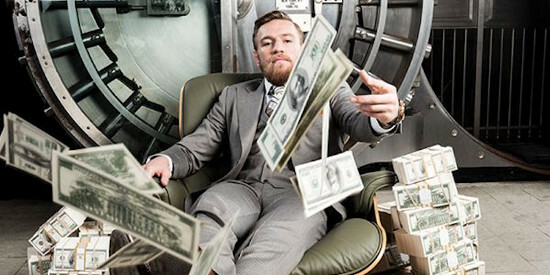 Conor McGregor: 5/1 Stanjames. As we have outlined above, Conor McGregor faces what looks like an impossible task. He is undeniably a top class MMA fighter as his exploits in the Octagon have shown. However, fighting one of the greatest boxers of all time could be a bridge too far. This fight is all about the money for both men.Once they get paid they will both be happy, and a new PPV record could be set. We think McGregor will come out swinging as an early knockout is his only hope. However, Mayweather is no mug and he will be on his guard in the early stages. As the fight progresses Mayweather should be able to hit McGregor at will. We can see him getting McGregor out of there in the middle rounds. Our exclusive prediction for Mayweather vs McGregor is for Mayweather to win in under 7.5 rounds at 7/4 with Paddy Power. They offer a tasty £30 sign up bonus to new customers. Mayweather vs McGregor betting prediction: Mayweather inside 7.5 rounds @ 7/4 Paddy Power.